Connect rail to 36 state capitals, Buhari directs – Royal Times of Nigeria. 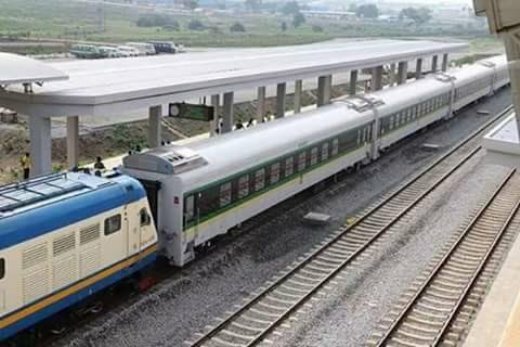 President Muhammadu Buhari has given the directive that all the 36 state capitals should be connected with rail in the ongoing railway projects. The Minister of Transportation, Mr, Chibuike Amaechi, said on Thursday at the meeting with the Chairman Senate Committee on Local and Foreign Debts, Sen. Shehu Sani. The meeting also attended by the Ministers of Finance; Budget and National Planning; and Power, Works and Housing was in connection with President Buhari’s loan request of 5.5 billion dollars. Amaechi said that the central rail line project connecting several communities of northern and southern Nigeria would be completed in June, next year. Sani had earlier advised if Nigeria “must borrow, it must borrow responsibly”.